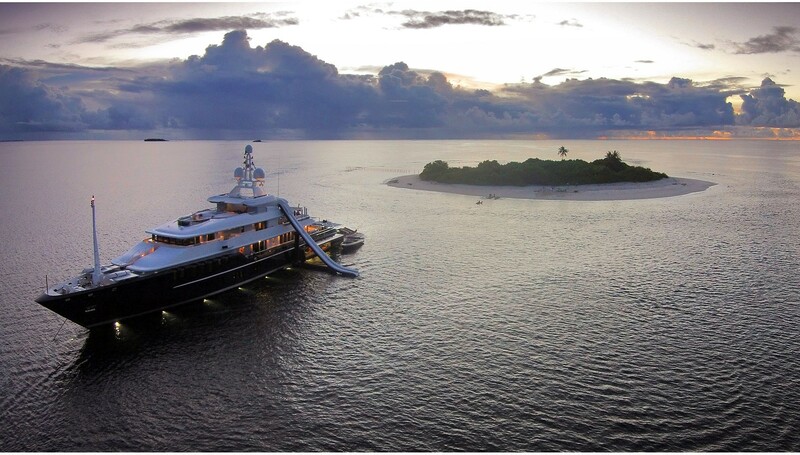 68m/223ft CUSTOM SUPERYACHT is a displacement yacht designed with a steel hull and aluminium superstructure, offering fantastic luxury yacht charter experience with highly-qualified crew onboard. 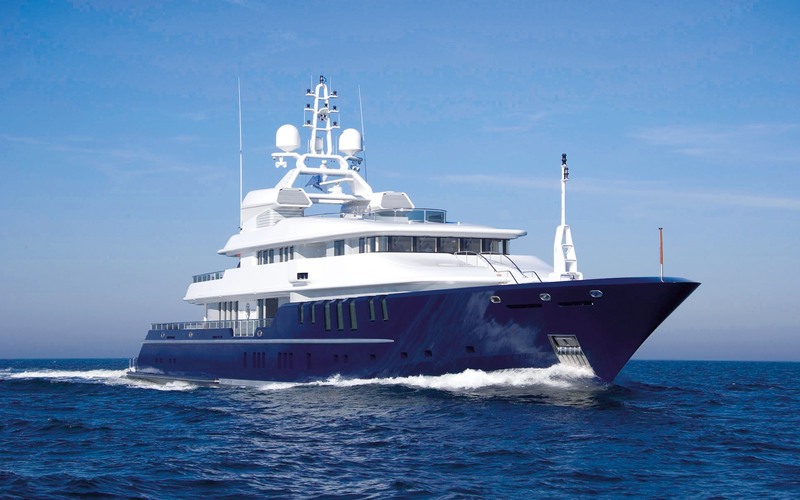 Built by Nobiskrug in 2006 and last refitted in 2014, she features the naval architecture of the shipyard, who also completed her interior and exterior styling. 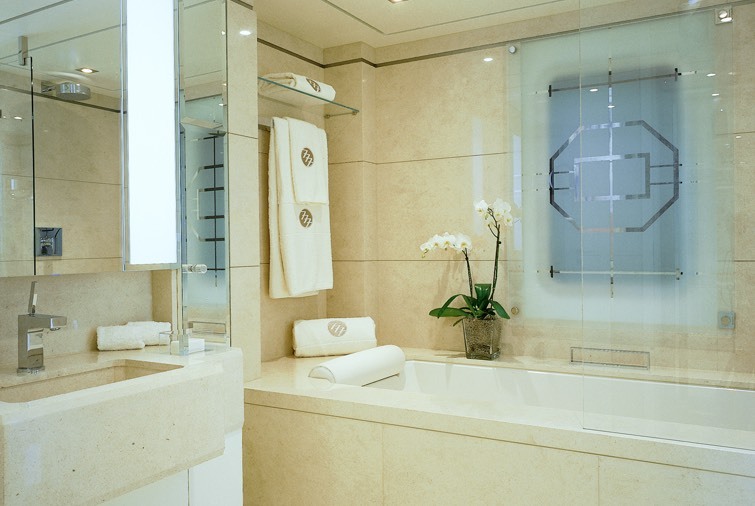 Her accommodation is designed for up to 11 charter guests over five en-suite cabins. 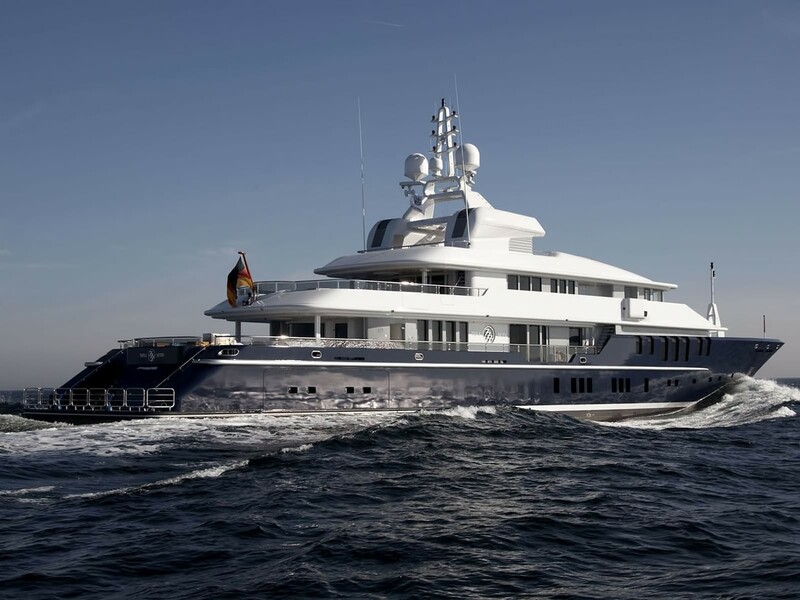 The extensive swim platform leads up to the main deck aft, which has a broad sun pad facing aft and a curved sofa under the shade of the upper deck overhang. Two L-shaped sofas face inwards and curve around coffee tables, all of which is ideally positioned for drinks from the indoor/outdoor bar located to the very aft of the main salon. On the bow, two circular tables are wrapped by C-shaped sofas to create the perfect setting for drinks at sundown with panoramic forward views. Above, the upper deck aft offers an atmospheric space for alfresco dining and an oval table is placed forward while the aft area is dedicated to outdoor lounging with three sofas each with a large coffee table. 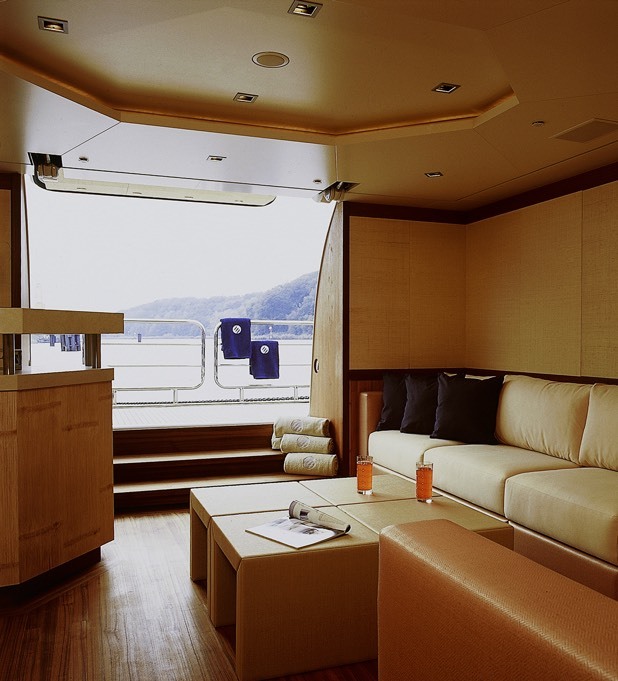 The sundeck has two sun-exposed L-shaped settees to the aft, each with a small raised tale for drinks or light meals. 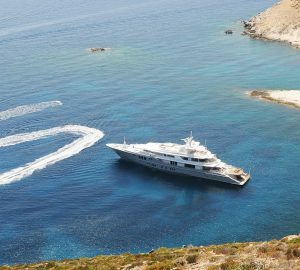 The central area has a barbeque while the foredeck has a large Jacuzzi surrounded by sun pads where guests can unwind and take in the sweeping forward views. 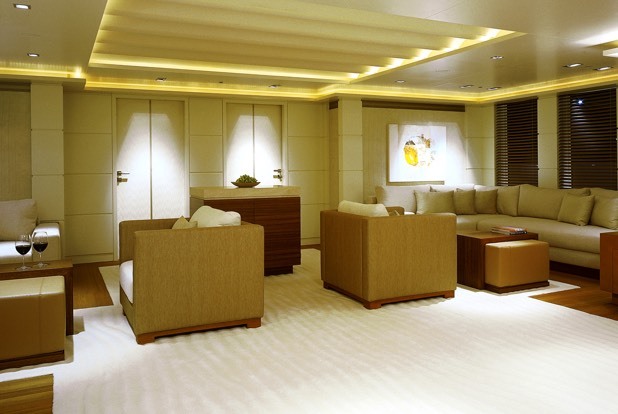 The lower deck aft hosts the gym, with a connecting hallway leading past a day head to a flight of stairs up to the main salon. Forward of the gymnasium is the port and starboard tender garage with side hatches for launch and retrieval. the central section is the engine room, forward of which is the guest accommodation, consisting of the VIP stateroom, double cabin, twin cabin and convertible cabin that can also be used as an office. In the bow section are the crew quarters and facilities. The spacious forward Master suite has plenty of room for a chaise lounge and armchairs and provides his and hers en-suite bathrooms as well as walk-in wardrobes and a private office. 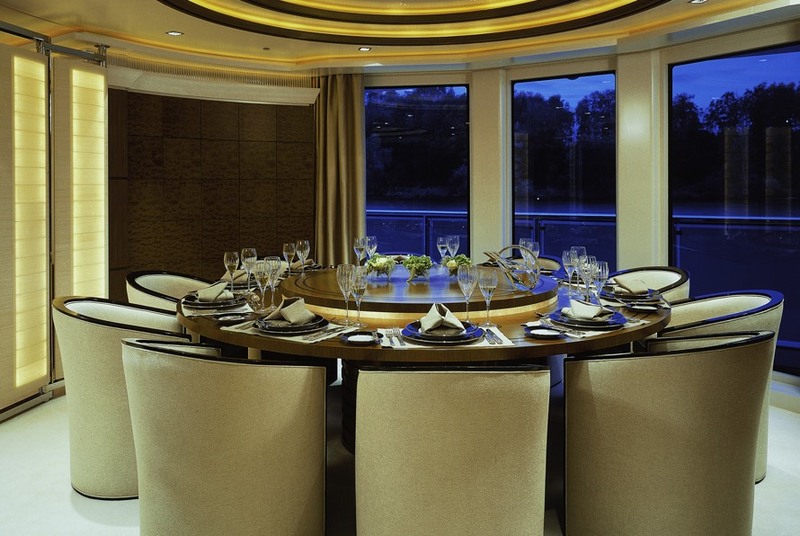 behind the main salon are the open-plan formal dining area and main salon, which has an unusual layout that places the circular dining table on the port side close to the full-height windows. The opposite is an intimate lounge area consisting of two small settees and a coffee table for close conversation between a small group of guests, while the rest of the area to the aft is laid out with various sofas and armchairs to accommodate numerous guests and visitors during a dockside event. On the upper deck, guests can watch the captain navigate from the seating in the helm station, while the sky lounge to the aft offers a cinema setup with a massive screen which guests can enjoy from one of the two L-shaped sofas. 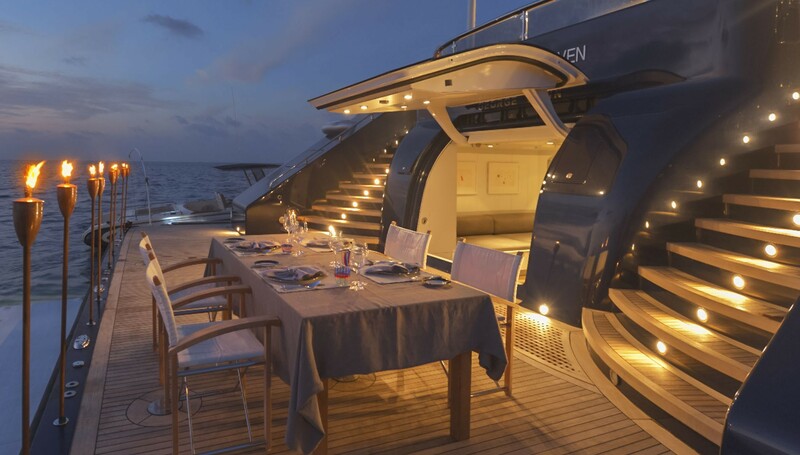 To the aft, there is a games table close to the aft sliding doors. 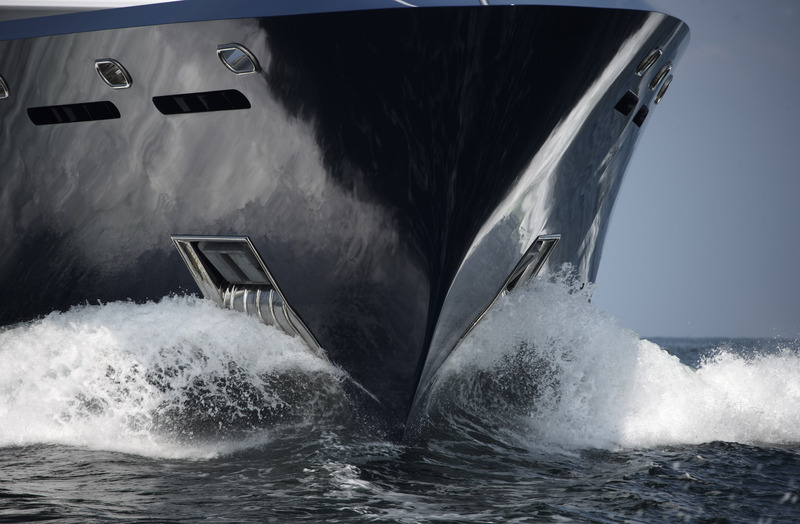 Engines: 2 x MTU 16V 4000 3520kw engines producing 2,360 HP produce a cruising speed of 15 knots. 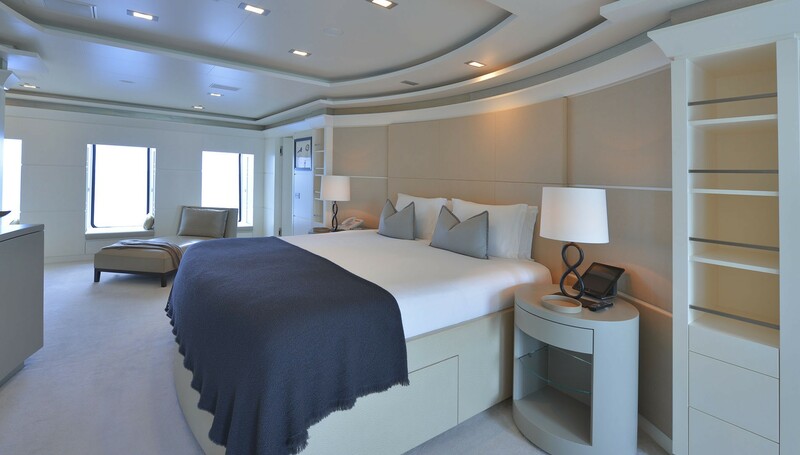 The accommodation layout sleeps a maximum of 11 charter guests across 5 en-suite cabins: 1 Master suite, 1 VIP stateroom, 1 double cabin, 1 single cabin and 1 cabin convertible from an office. The talented crew of 16 include a boxing instructor and a trained masseuse. 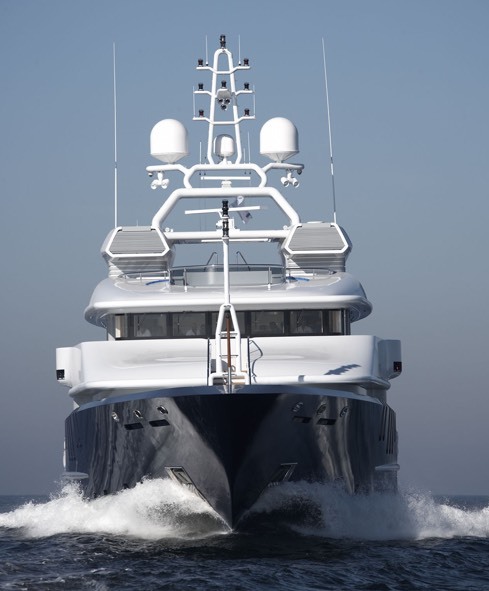 We do have available further amenity, owner and price information for the 68.00m (223' 1") yacht 68M CUSTOM SUPERYACHT, so please enquire for more information.